The Quad celebrates two-time Oscar-winning screenwriter Ruth Prawer Jhabvala, the woman behind Merchant Ivory's most beloved works, with a 12-film retrospective. Titles include: The Remains of the Day, A Room With A View, Shakespeare Wallah, The Guru, and more! The creative sobriquet of Merchant Ivory was coined, at the outset of what became nearly 50 years of storied moviemaking, from the surnames of director/screenwriter James Ivory and his partner and producer Ismail Merchant. 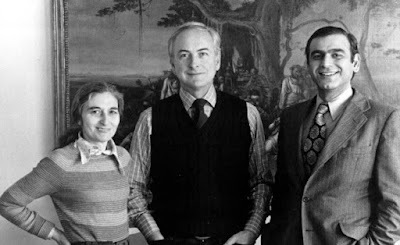 Yet there would not have been Merchant Ivory as we came to know it without a third core collaborator, Ruth Prawer Jhabvala, who became far and away the team’s favored screenwriter. She was born in Germany of Polish and Jewish ancestry, and then raised in the UK in the 1940s; she and her husband would live both in his native India and in her New York working base. As this citizen of the world drew high praise for novels and short stories, she was asked to write the screenplay adaptation for Merchant Ivory’s first feature — and the rest is screen history. Jhabvala won two Academy Awards, for her E.M. Forster adaptations A Room with a View and Howards End, and was nominated again for The Remains of the Day. She was later made a Commander of the Order of the British Empire (CBE). Her screenplays cast a compassionate eye on the nuances of the human condition, quietly advocating for self-awareness while exhorting the excitement of exploration.